Bag any unnecessary items and give it all away. If it’s not coming with you or you have no need for it, get it out of the way before you even start to pack. Because the last thing you’ll want to do is plan out your outfit for the next day or have to drag out all of your tightly packed things in order to get ready for work on Wednesday morning. I am a neat-freak, and I will scrub every last inch of that place before I actually start to move in at 10:00am tomorrow. I’ve given myself an hour to get some major scrubbing done before I need to really unpack everything. and putting them down is a huge work out when you’re walking up a few flights of stairs. Make sure you do everyone a favor and have a few of these bad boys at the ready. The people helping you out will be thirsty and will need a glass of water to keep them going strong. 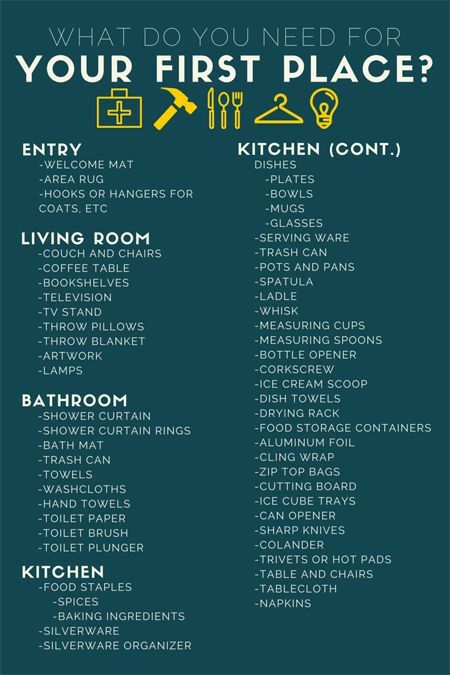 Not only will this help with getting a good look at what you’re starting with, but will also help you when you need to move out in a year or ten and want your deposit back. These are just a few of my move-in survival tips! Leave a comment below with a few of yours!